Lagos State Commissioner for Energy and Mineral Resources, Olawale Oluwo, has resigned his appointment and has left the ruling All Progressives Congress (APC). 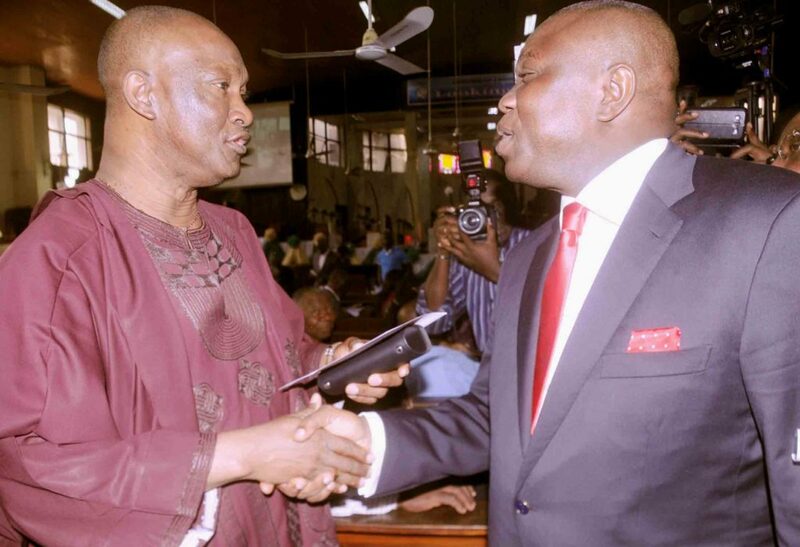 He has vowed to work for Jimi Agbaje, candidate of the Peoples Democratic Party (PDP) in the next governorship election. “A few hours ago, I submitted to His Excellency, the Governor of Lagos State, a letter of resignation of my appointment as Honourable Commissioner for Energy and Mineral Resources. 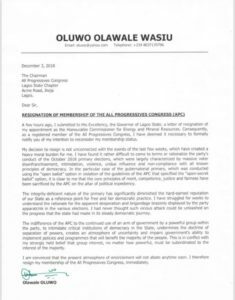 And consequently as a registered member of the All Progressives Congress,” Oluwo said in his resignation letter. Oluwo accused APC of deliberately overseeing an “integrity-deficient” governorship primary” in October. The primaries saw the incumbent governor Akinwunmi Ambode losing to Babajide Sanwo-Olu, who enjoyed the support of the Mandate Movement of APC’s national leader, Bola Tinubu. Oluwo also claimed that the party lacked integrity, stressing that this has eroded the integrity claim of the state as a reference point for free and fair democratic practice.